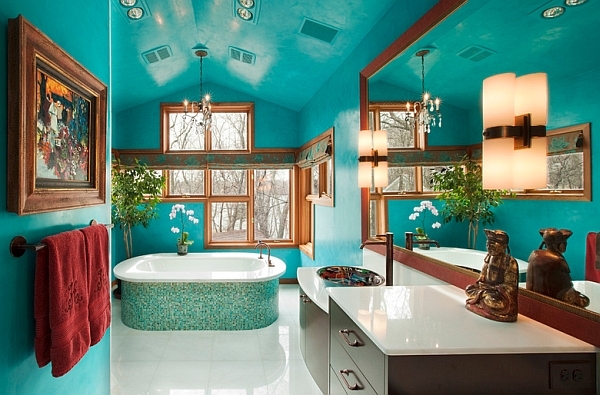 In the first few days of the New Year, we have been talking about the hot color trends and interior design patterns that are predicted to hold sway in the next 12 months. 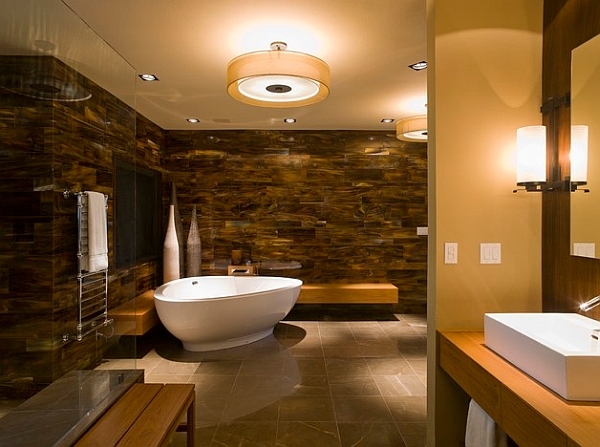 While many of these popular predictions pertain to the living room, bedroom and kitchen, there is one major style statement that is aimed at revitalizing your chic bathroom. 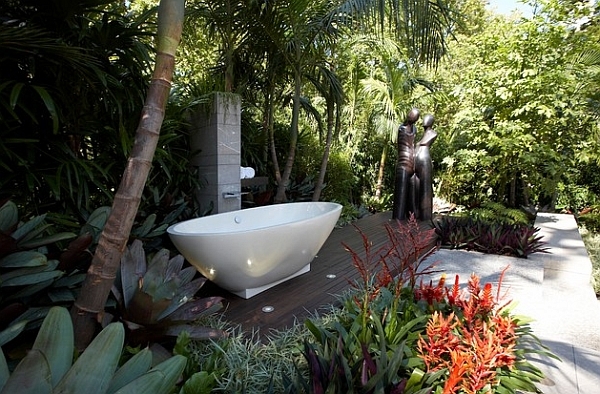 The freestanding bathtub is expected to make a big splash in the year ahead! 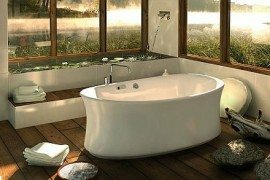 Architects and homeowners are starting to warm up to these luxurious bathtubs that are now more accessible than at any time in the past. 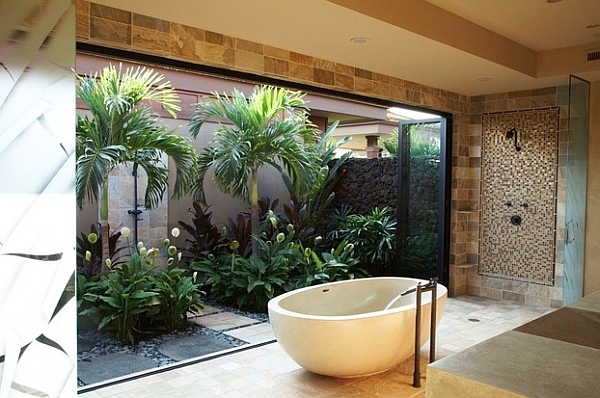 Create a tropical paradise at home! 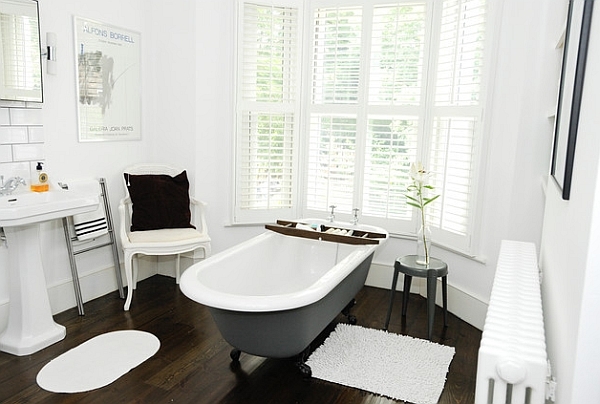 Standalone tubs are not just for the bathroom! 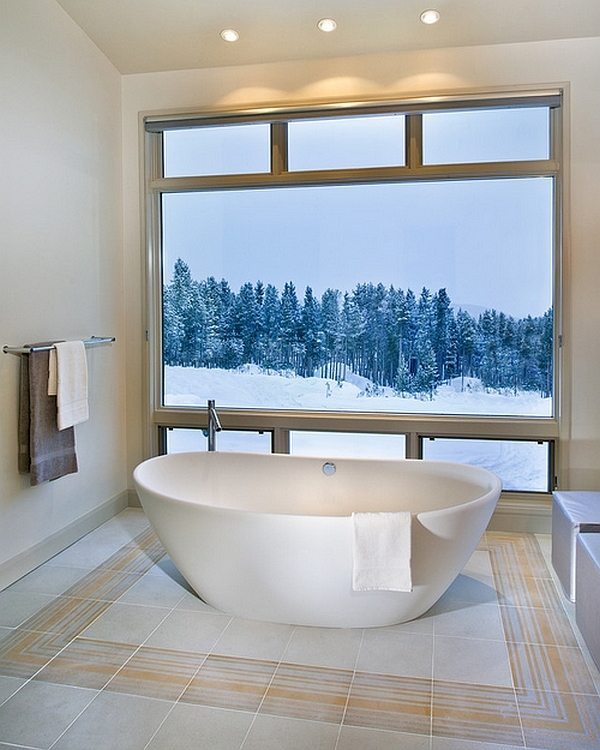 There are plenty of reasons to opt for the freestanding tub, and aesthetics are definitely on top of that list. 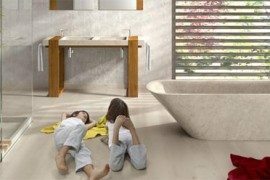 Apart from the sculptural beauty that these striking tubs seem to almost inherently posses, they also give you the convenience of being placed pretty much anywhere. 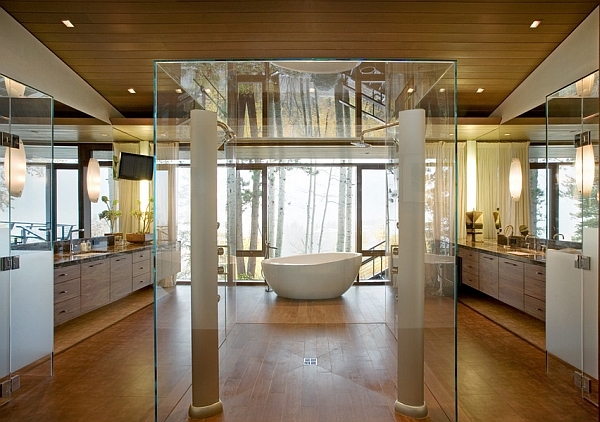 You are no longer boxed in by concrete walls, and this gives you the freedom to enjoy that amazing view outside. 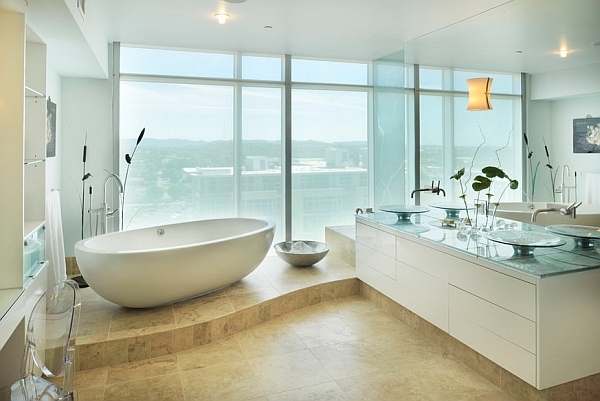 Just place a luxurious standalone bathtub next to the large glass window or sliding glass doors and take in the many sights and sounds of the world around you. 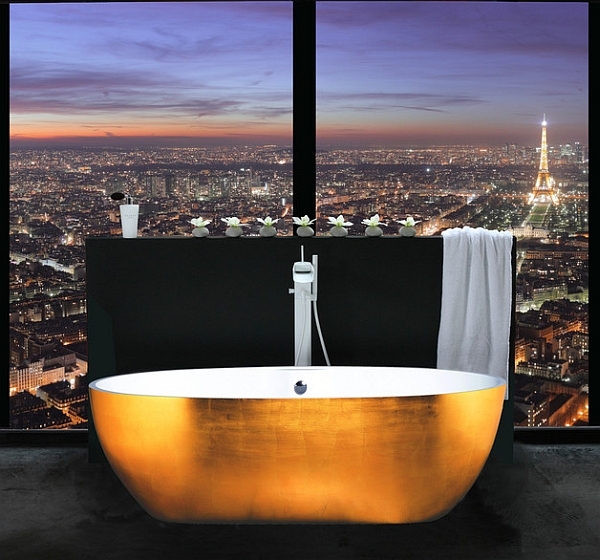 Gold leaf-clad freestanding bathtub and a view to match its opulence! 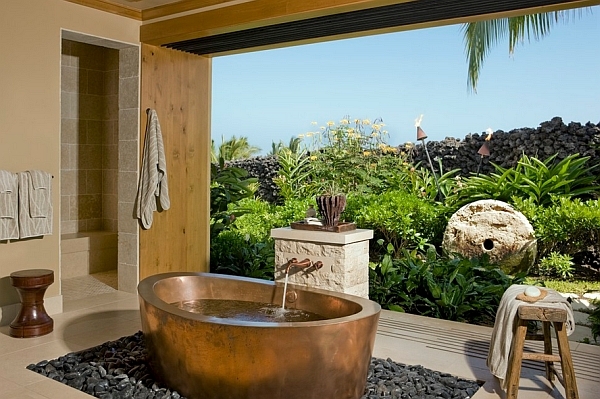 Spectacular mountain views, the soothing sight of crashing waves in the distance, and lovely tropical green canopies are increasingly becoming a part of interior design! 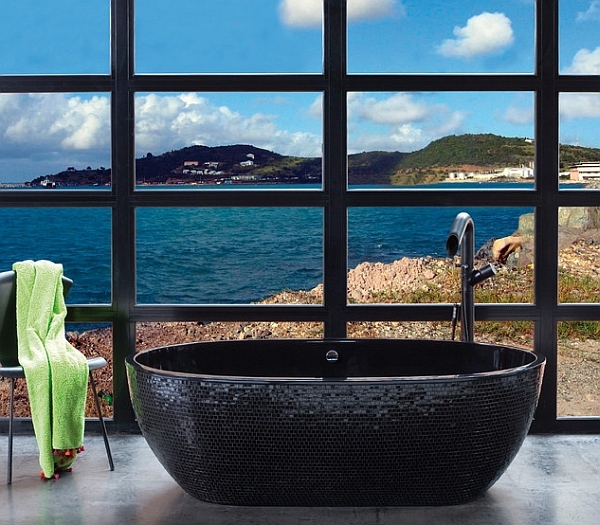 With a freestanding bathtub, you can combine that refreshing soak and that amazing view to create a truly spa-like setting that is enhanced by the touch of nature! 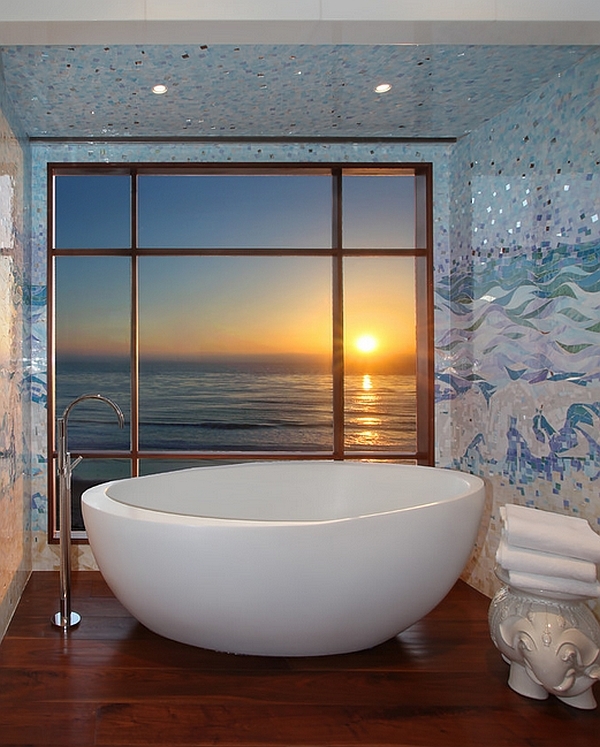 Enjoy the beautiful view outside! 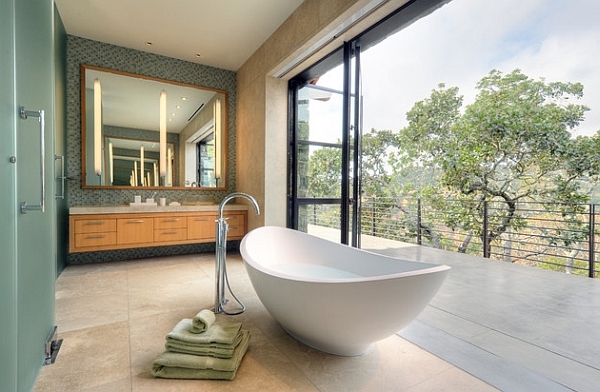 Do not think of the standalone tub as just another addition to the bathroom. 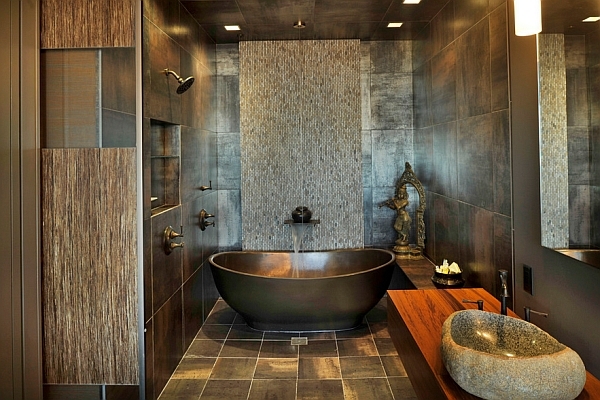 In fact, use it to add an element of textural contrast to a space that is largely dominated by concrete and glass. 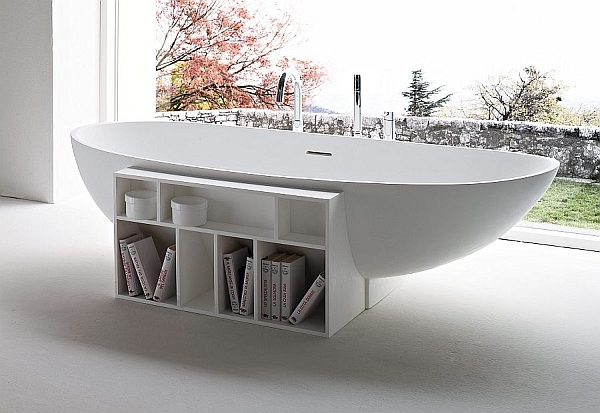 Dashing and at times visually startling, the freestanding bathtub can uplift the aura of your bathroom instantly and give it an entirely different dimension. 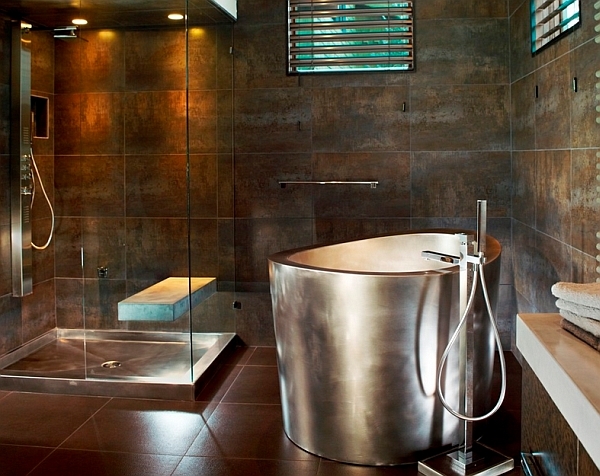 Modern standalone tubs are available in glittering metal such as copper and nickel. 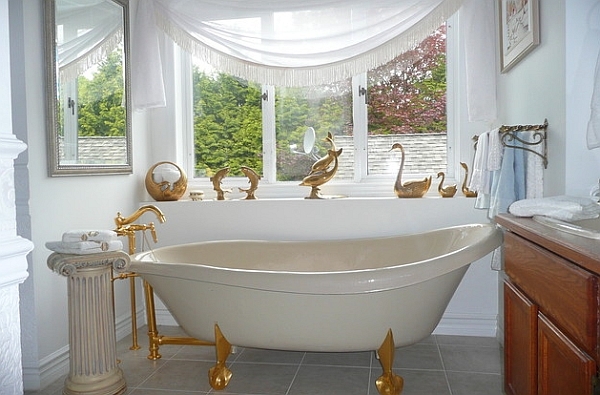 These tubs are a touch more costly than regular bathtubs, but they are well worth the dough if you are looking to add an instant showstopper to your bathroom. 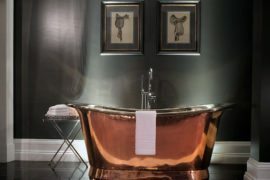 Metallic bathtubs also keep the water warmer for a longer period of time, and while they do demand extra care and attention, they are an ideal choice for those opting for a vintage, period theme. 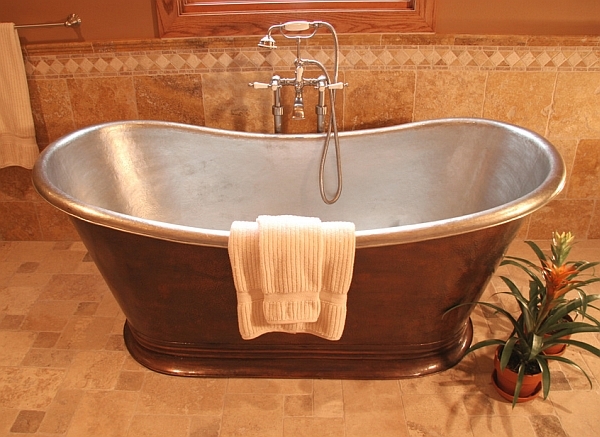 Do not be afraid to bring home bathtubs in natural walnut either, as they are pretty durable nowadays thanks to the extremely resistant coating and finishes that are currently available. 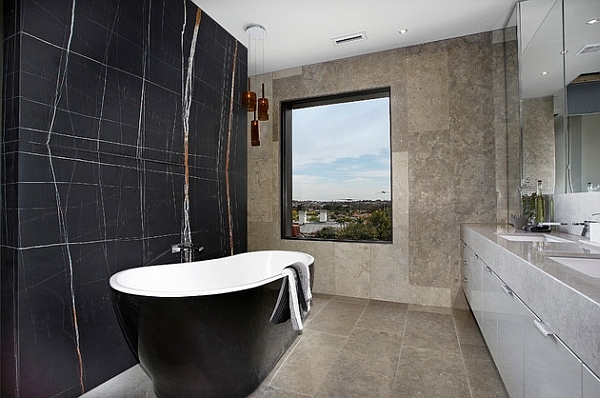 Natural stone like basalt is another great option for those thinking of a bathtub crafted from something beyond marble. 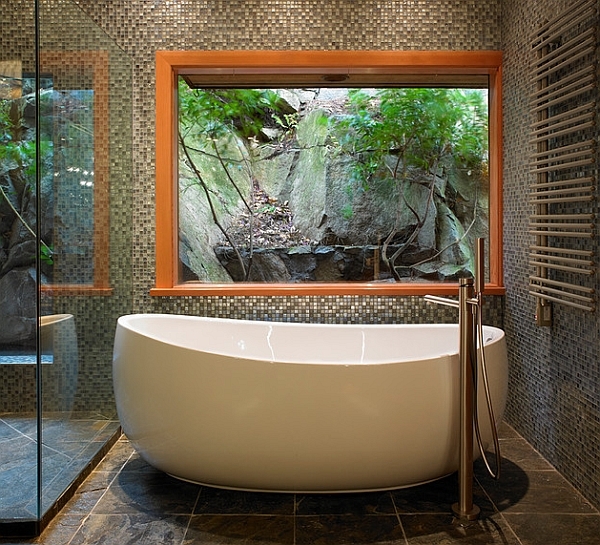 Audacious stone bathtub truly stands out from the pack! 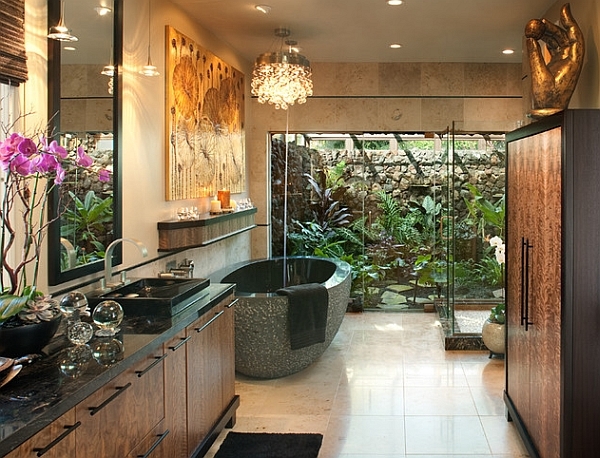 While some prefer the exotic and the unusual, many would love to stick to the tried and tested. 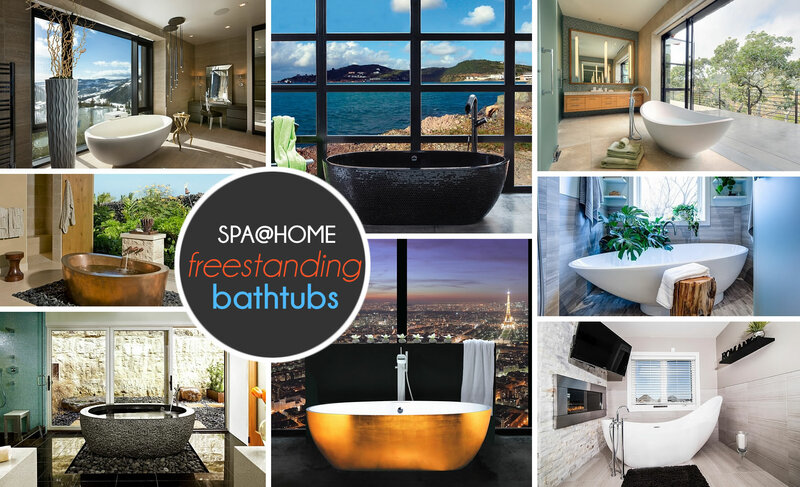 One of the biggest reasons for the sudden surge in popularity of the freestanding bathtub is the desire among homeowners to create a spa-like retreat right at home. 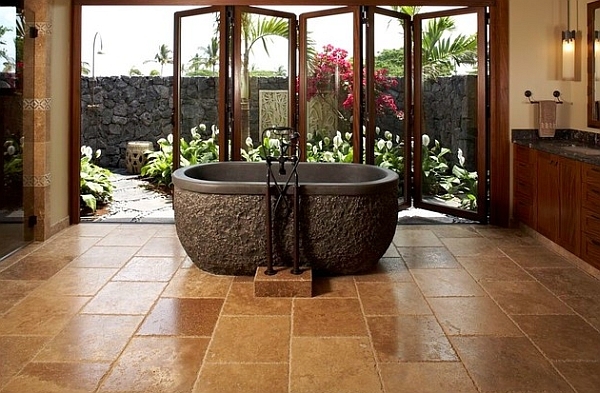 Why take that long drive to the spa on weekends when your own bathroom is spacious enough to feature its own tranquil nook? 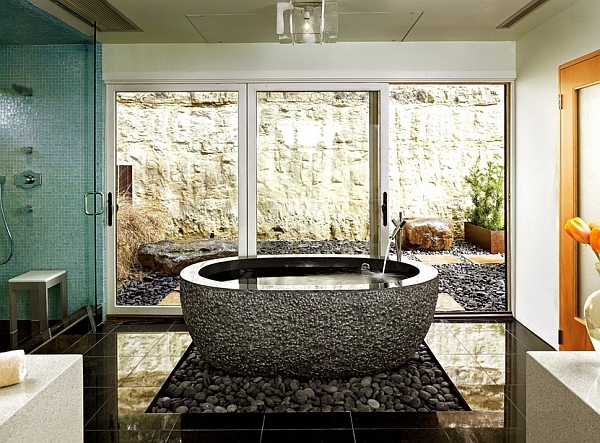 The freestanding tub is designed to drive home this ‘spa style’ that so many crave. 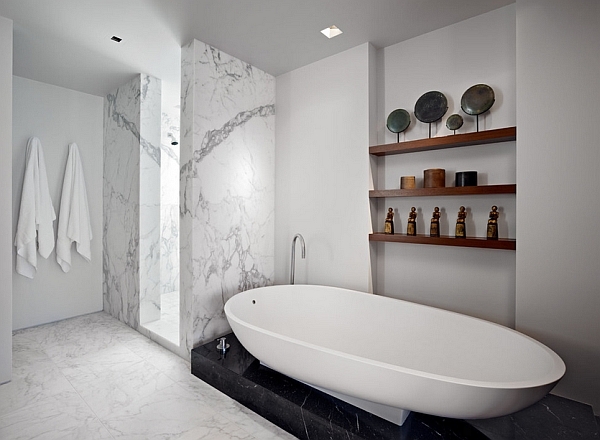 And the sleek bathtub in white is the perfect choice for this look. 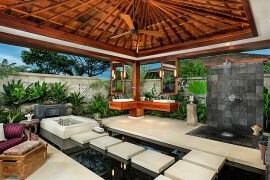 It is simple, minimalist in design, space-conscious and reminiscent of the luxurious spa setting. 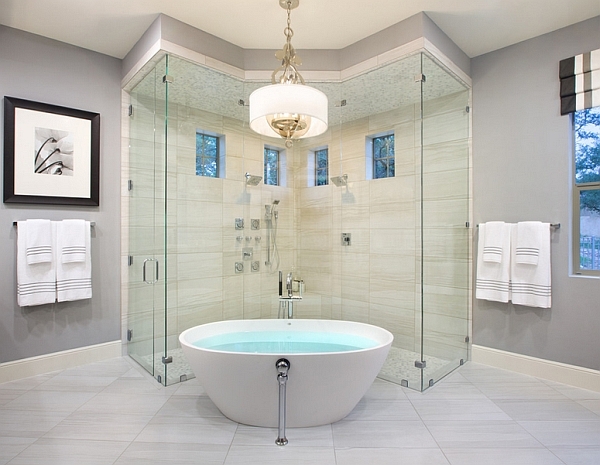 Give the standalone tub a fresh new look! 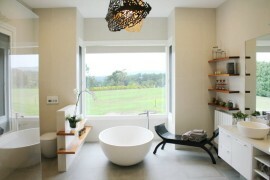 But the trendy contemporary bathtub also comes in plenty of different finishes, geometric shapes and sizes. 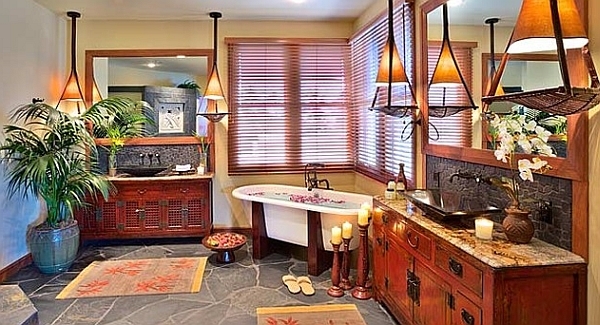 Pick something that perfectly fits into the design plan that you have for your own bathroom. 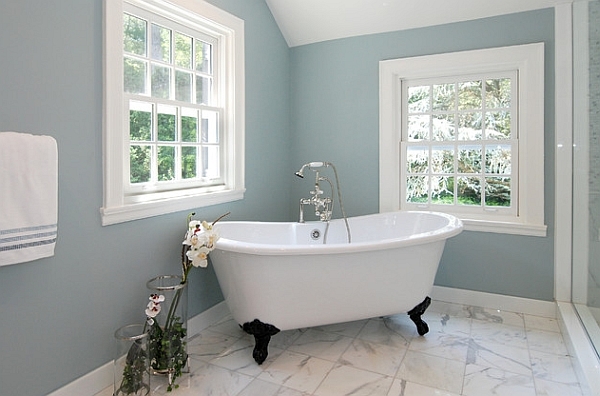 If you are trying to fit the tub in a small corner, then look for a design that features angular edges and makes up for lack of length with sufficient depth. 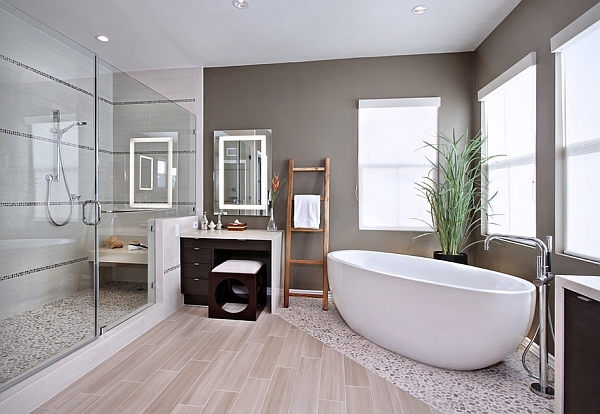 Those who are not too concerned about space are much better served with the popular elongated-oval models. 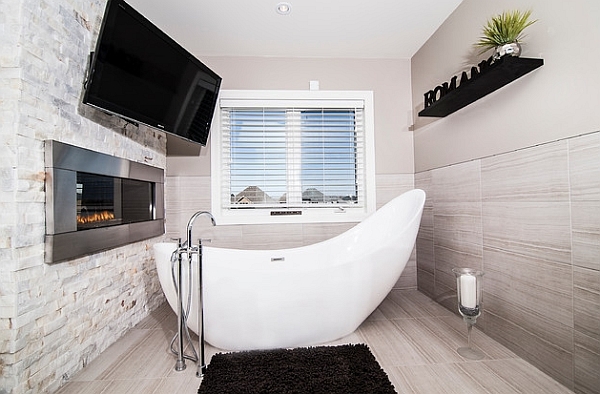 Call it elegance, style, sophistication or grandeur; the freestanding tub is all about showing off your bathroom with panache! 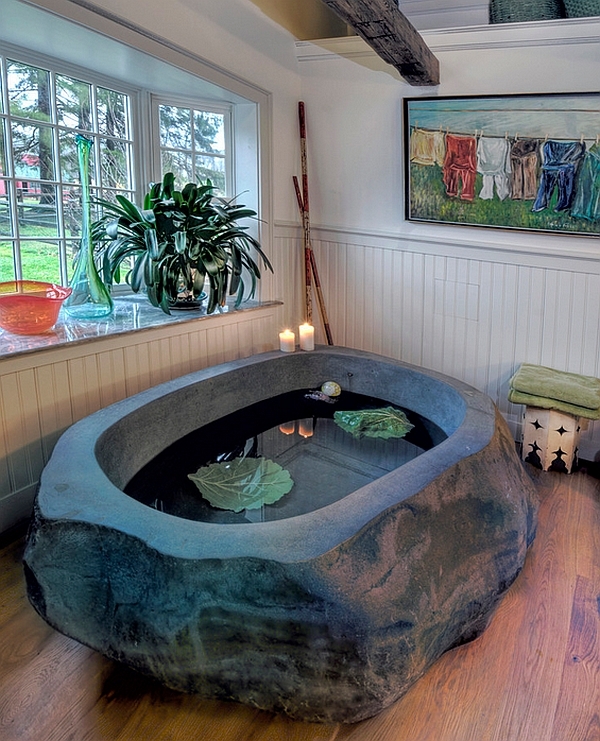 If you are surrounded by too much of the ‘same thing,’ the tub is a fabulous way to create a focal point that creates a rich visual. 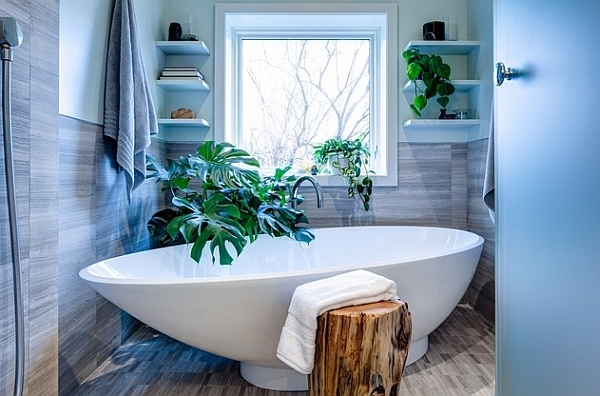 If you are not too high on bringing contrast through texture, then try a colorful change of pace with a bathtub in tangy orange or stoic grey. 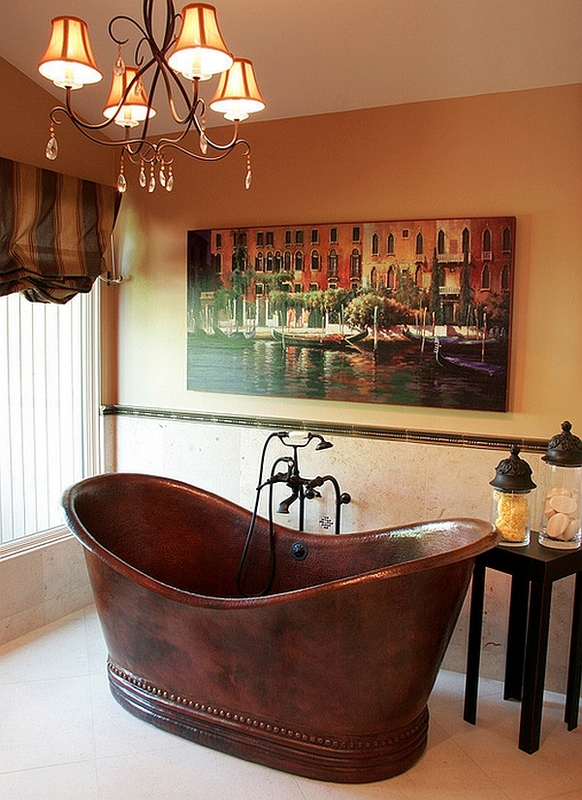 At times, the tub can be used to accentuate the existing theme without being too overwhelming. 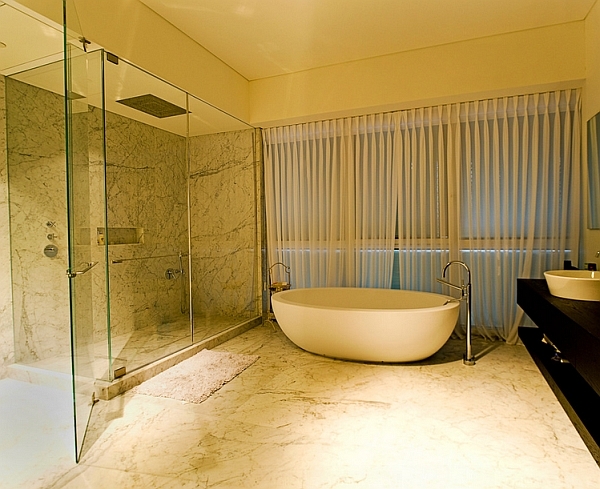 A bold splash of orange in the bath! 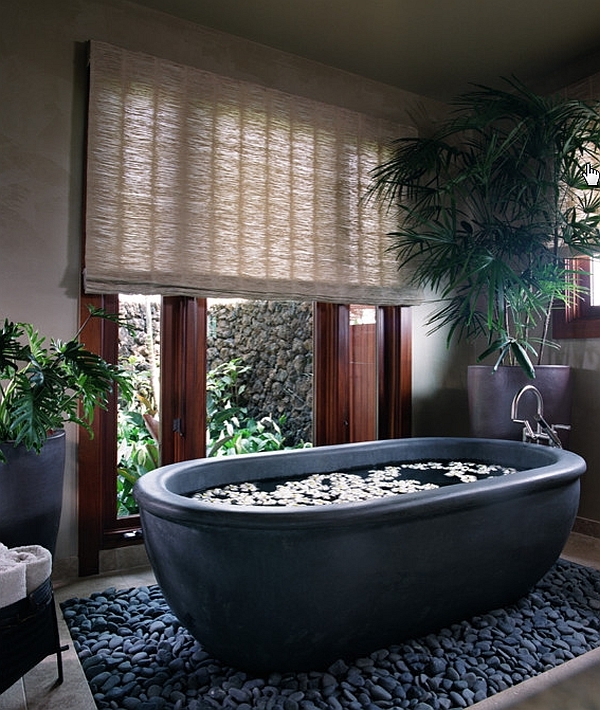 Considering the busy urban lifestyle that we get caught up in on a daily basis, designing an inviting, restful and rejuvenating sanctuary at our own home seems like an absolute must. 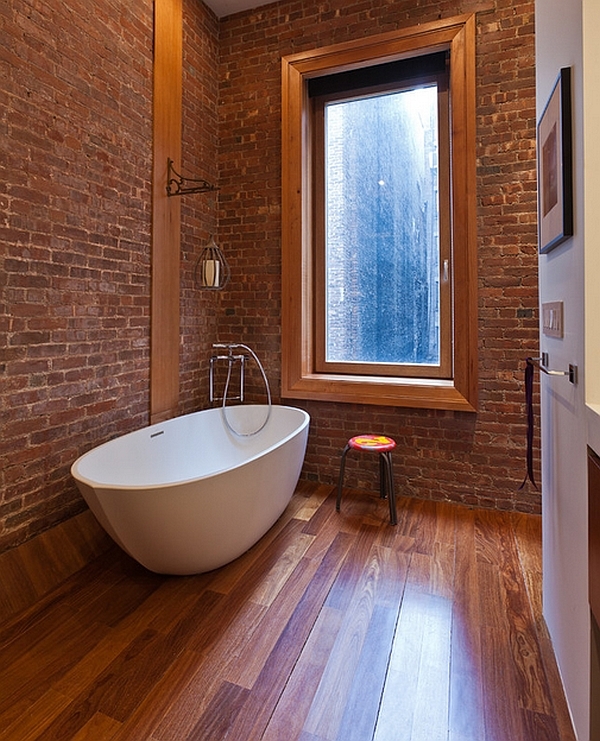 Freestanding bathtubs do this with inimitable style. 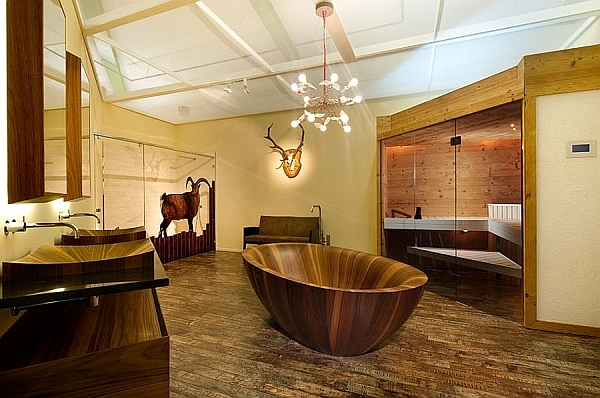 The fact that they are more fashionable and affordable in 2014 than ever before is just an added bonus! 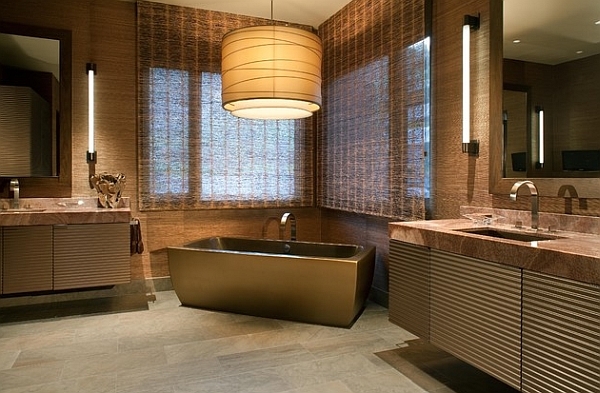 So, are you ready to embrace this tranquil and glamorous trend? 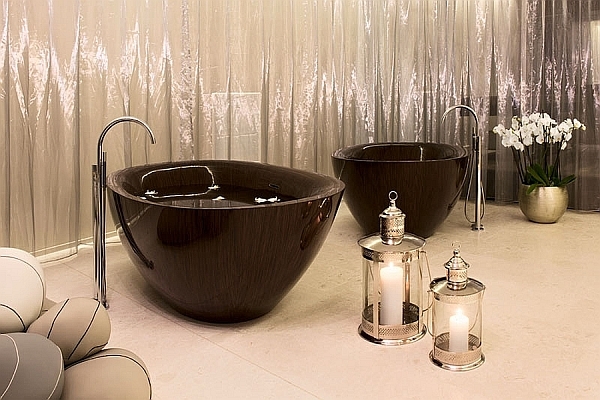 Set the mood with a few scented candles! 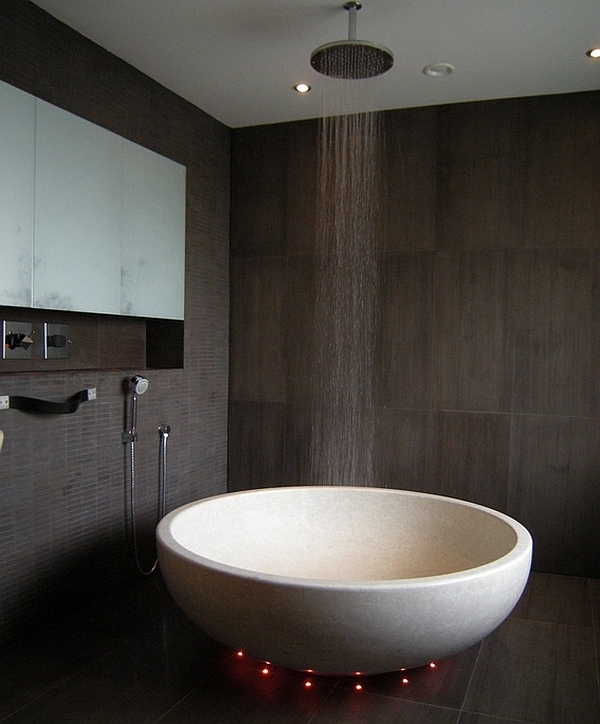 Add a rain showerhead to step up on the style!